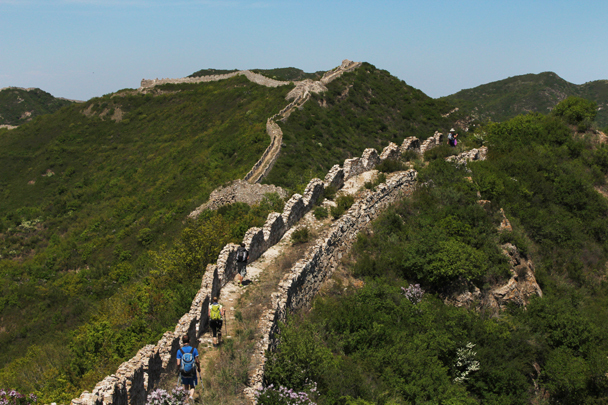 In Brief: See some photos from a long hike along unrestored Great Wall in Yanqing County. 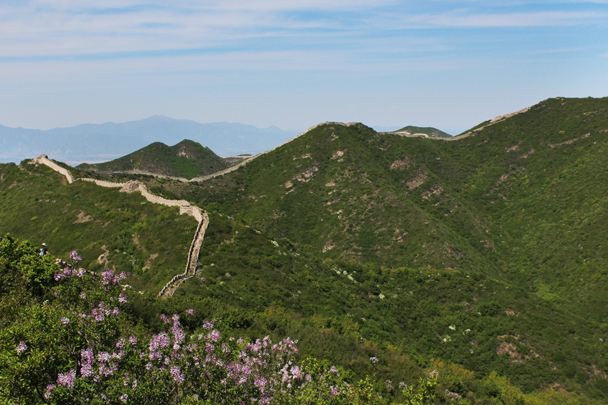 The Zhenbiancheng to Big Camp Plate hike is one of our favourite long walks in Beijing. Take a look through the photos below and see if you agree! 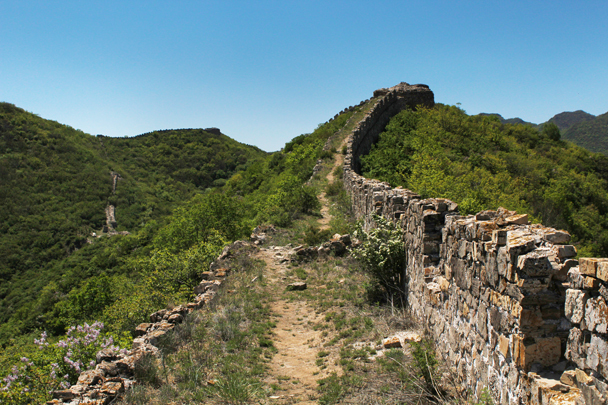 Unspoilt sections of unrestored Great Wall as far as the eye can see. Some great scenery on the steeper sections. 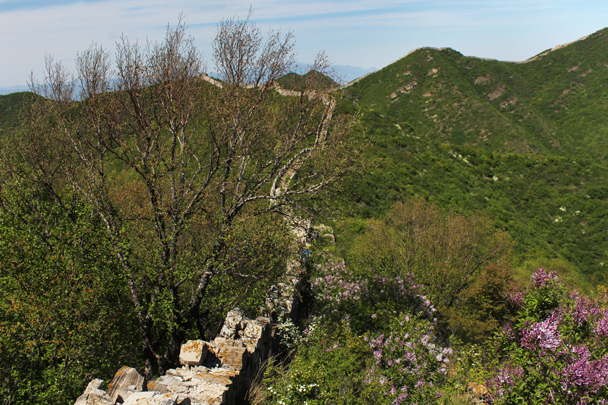 Although unrestored the trail along the wall here is pretty easy going. 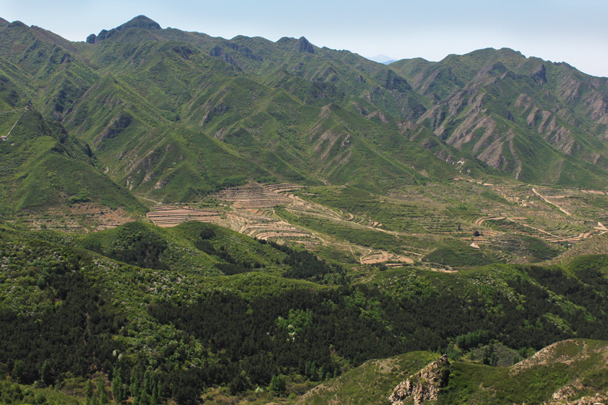 Terraced landscapes surrounded by stunning mountains. 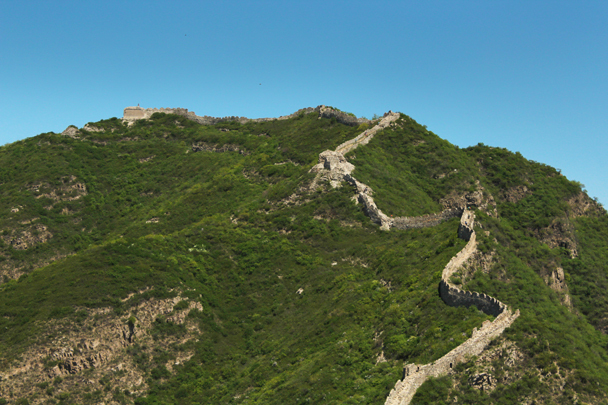 Striking white rock was used to build this section of the great wall. 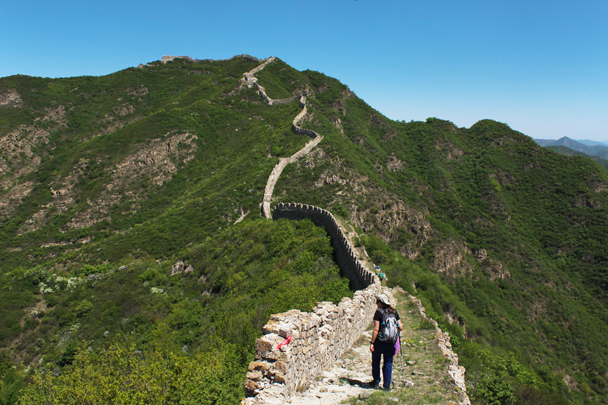 Once again the wall leads the way. Some sections are being reclaimed by nature. 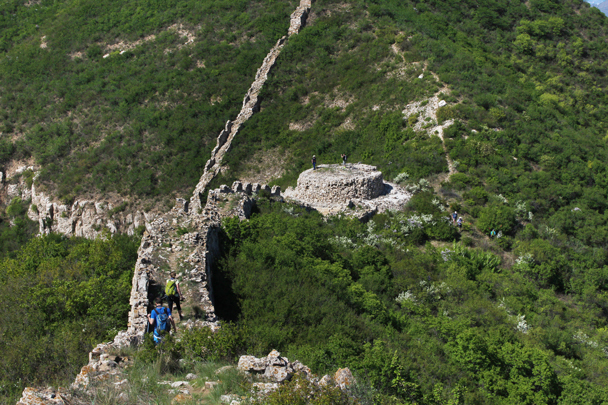 One of the round towers on this section of wall.